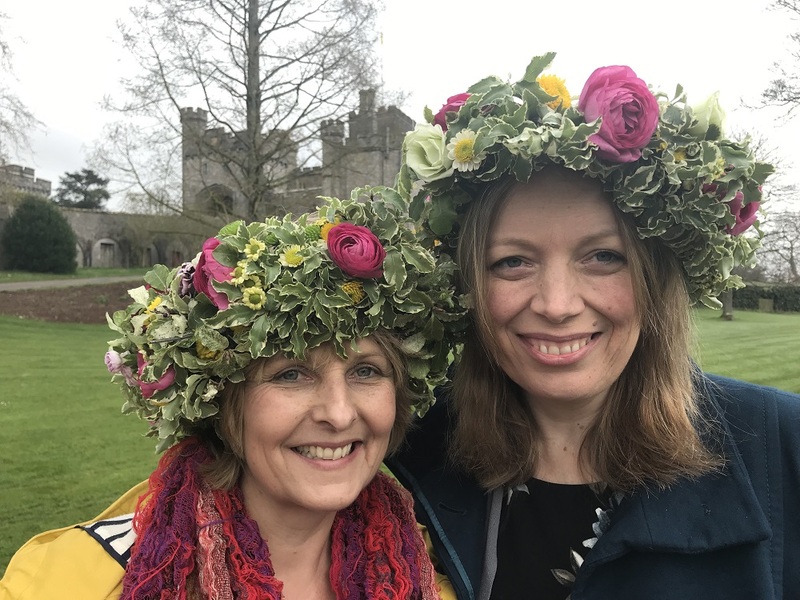 Who speaking at Powderham Castle in 2019? 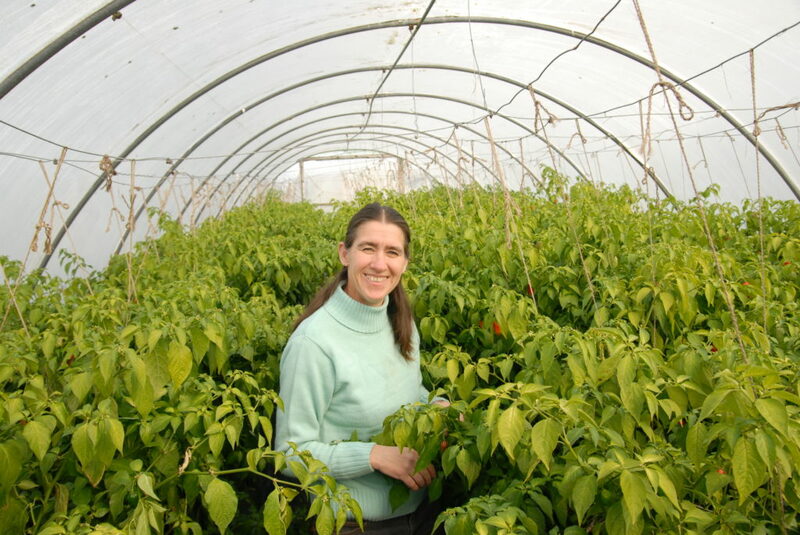 Frances’ first book, First Time Gardener, was published in 2015 and her 2nd book, The Container Gardener was published in April 2017. 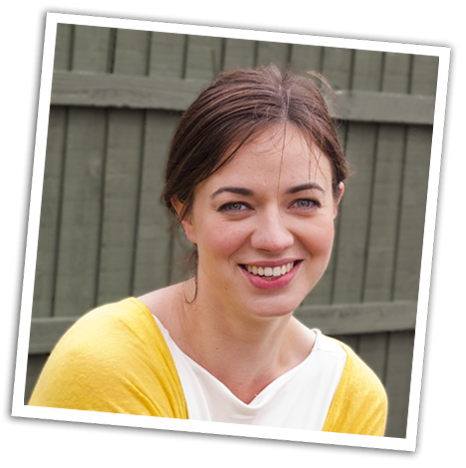 She has also written a column for Coast magazine on highs and lows of coastal gardening. Joe has been gardening since he left school and is a fully trained garden designer. 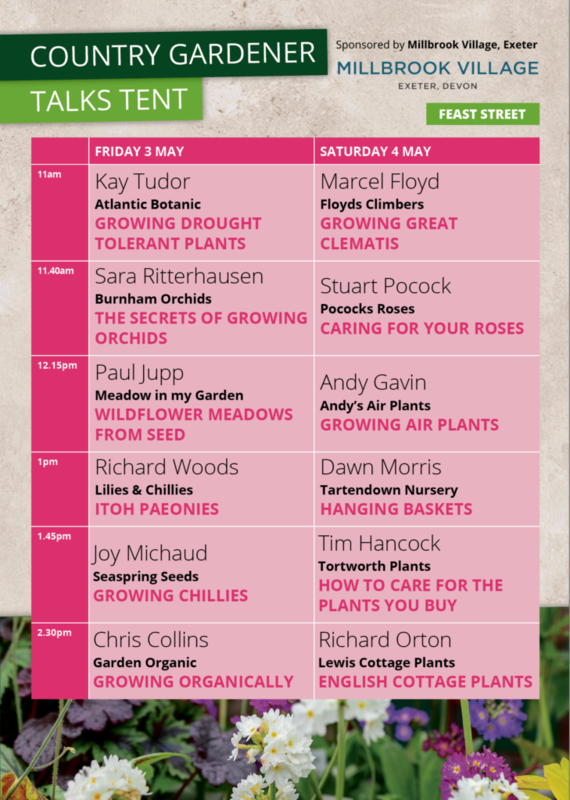 He has been one of the main presenters on BBC2’s flagship gardening show Gardeners’ World since 1998 and also regularly appears in the BBC’s coverage of RHS Chelsea, Hampton Court, Gardeners World Live and Tatton Park Flower shows. Over the years Joe has fronted Open Gardens, Small Town Gardens, Garden Makers and Garden Invaders. He appeared on Celebrity Masterchef and many other programmes as a guest. 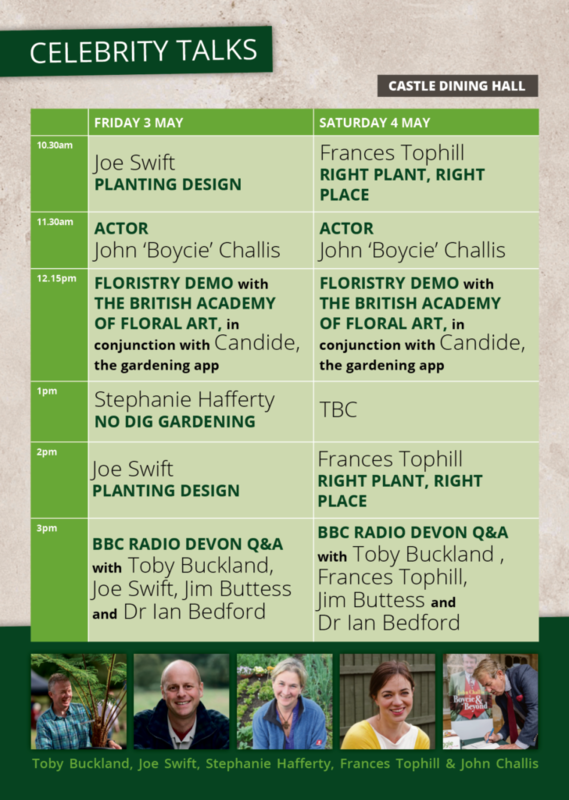 Joe has designed many gardens for TV, including one for Comic Relief, many for Gardeners World plus all of the Alan Titchmarsh’s How to be a Gardener 2 series. 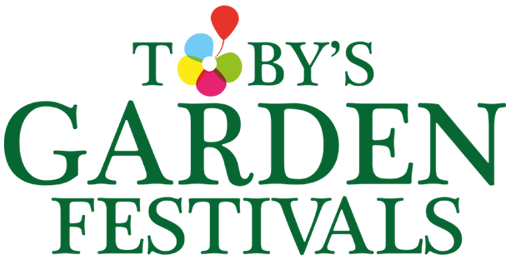 He is also a co-founder of Modular Garden- a garden design and build brand. Joes writing includes a regular column in The Times Weekend section, Gardeners World Magazine and various other magazine articles. He has written 3 books – The Plant Room, and Joe’s Urban Garden Handbook, and Joe’s Allotment. 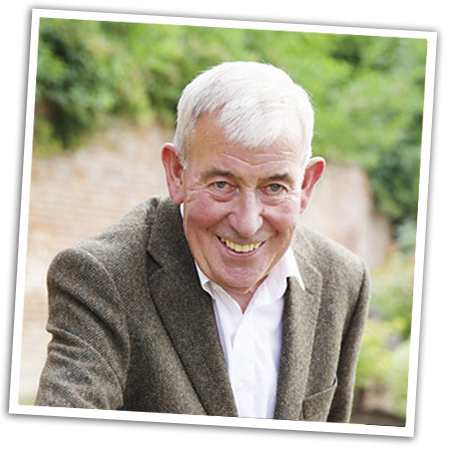 Jim has become synonymous with our garden festivals and he’ll be joining us again at Powderham 2019. 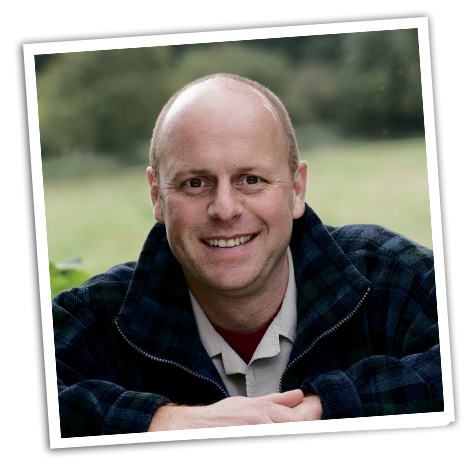 He’s one of the UK’s leading gardening experts and a busy man on the UK’s horticultural show scene. He was superintendent of the Royal Parks for 25 years and his clients have included Her Majesty the Queen. 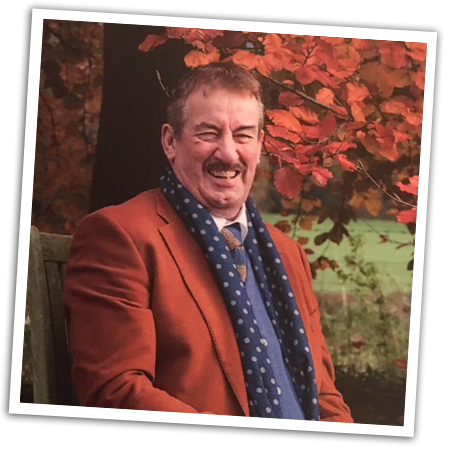 John Challis, the actor best-known for playing Boycie in the BBC’s most successful ever sitcom Only Fools and Horses joins us at Powderham this spring. 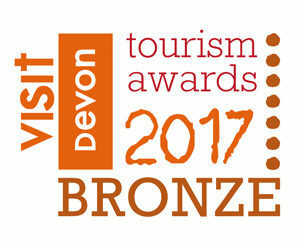 John will be sharing how he and wife Carol restored the ancient abbot’s lodging and garden at Wigmore Abbey in Herefordshire. The 800-year old building was the inspiration and location for the Only Fools spin-off The Green Green Grass of Home which sees Boycie and on-screen wife Marlene flee Peckham for a new home after falling out with gangsters. John is back on our screens playing Monty, the love interest to Sherrie Hewson’s Joyce Temple-Savage in ITV’s Benidorm. John will be at the festival both days, being interviewed by Jim Buttress and signing books.